Let me start by saying I’m a fan of Friendly’s restaurants. I grew up in Massachusetts about an hour from where the company began in Wilbraham, MA, and I have a lot of fond memories of being a kid and going to Sunday brunch with my family, having a Fribble with fluffy pancakes and a Happy Ending for dessert. 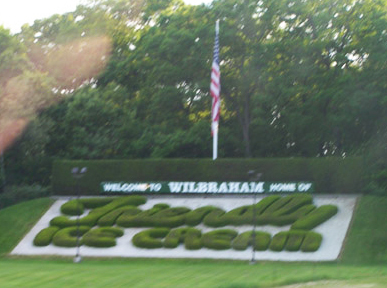 I still love seeing the Wilbraham Friendly’s sign on the Mass Pike when I’m driving on Rt. 90 from Syracuse to visit family and friends in the Boston area, and I also still dine at the chain occasionally as an adult and look forward to their ice cream creations, from the classic Cone Head to their other sundaes. Is vanilla the opposite of chocolate? And is chocolate the opposite of vanilla? I’m not sure if I agree. Ice cream has been around for hundreds of years and different flavors have long existed — Baskin-Robbins had 31 flavors in 1945, so it’s not like chocolate is (or was) the opposite of vanilla by default because of a lack of other flavors. If we’re talking color, cocoa beans are brown and vanilla beans are pale yellow, almost beige — anyone who’s ever had a box of 64 Crayola crayons would be hard-pressed to say brown is the opposite of yellow. And while I’m not a taste connoisseur (despite being hard-of-hearing, the “lose one sense, gain another” adage is mostly a myth) in my personal experience I’ve never eaten chocolate and thought “Man! This is completely the opposite of vanilla!” as both are sweet and not the other classic tastes (sour, bitter, salty, etc). 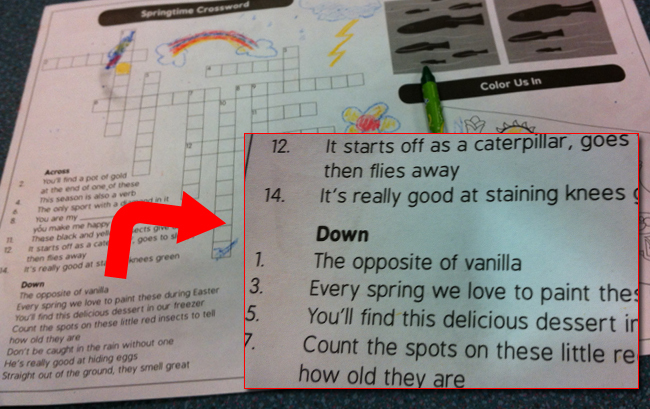 A crossword puzzle on a Friendly’s restaurant kids menu suggests chocolate is the opposite of vanilla. What do you think? Is chocolate the opposite of vanilla?